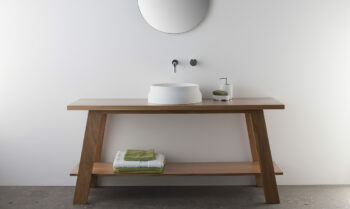 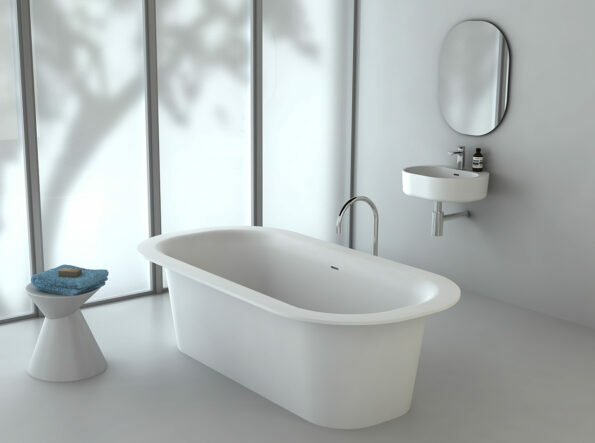 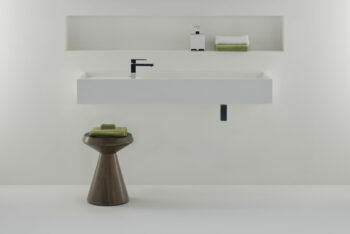 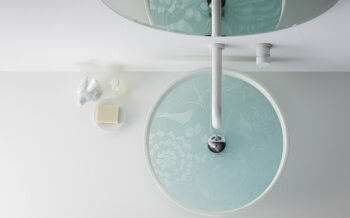 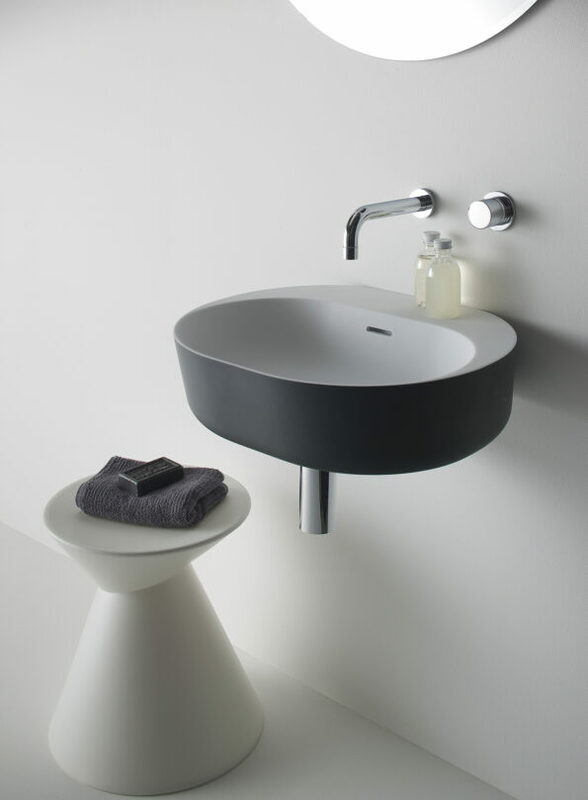 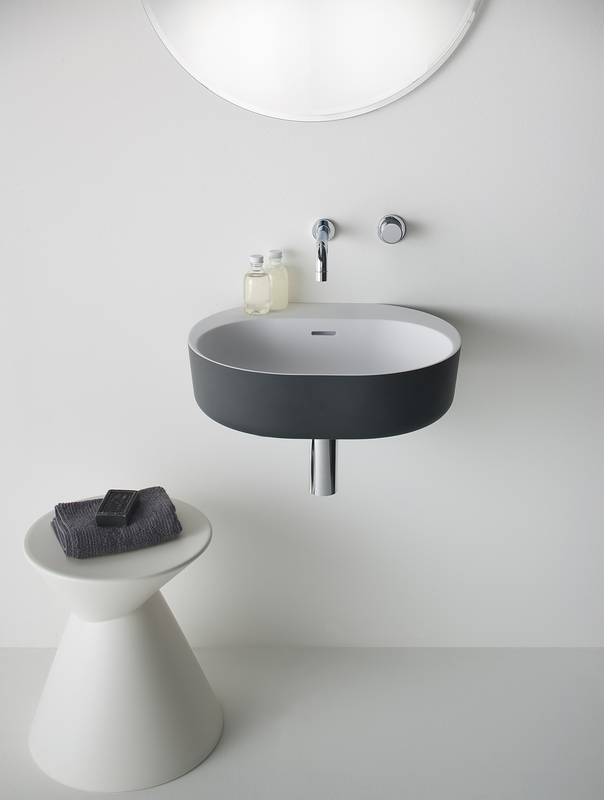 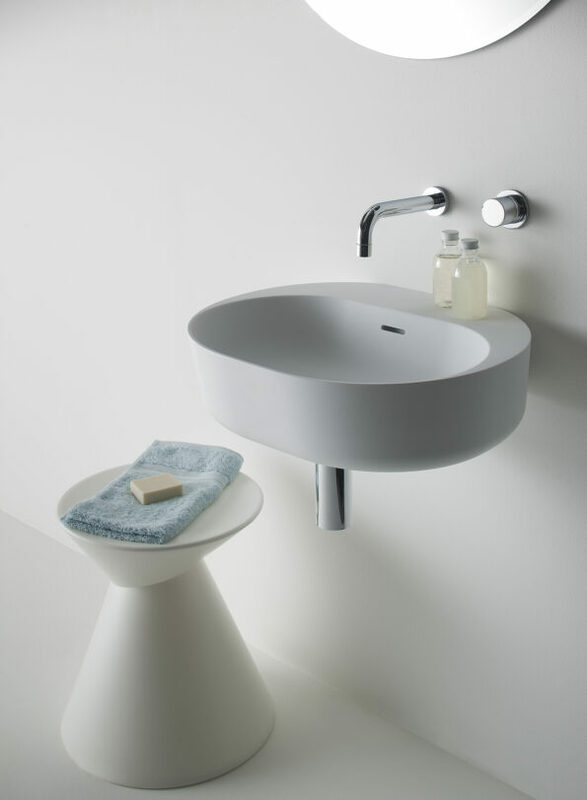 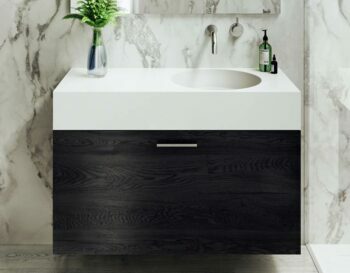 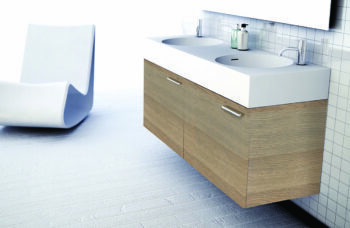 The Lilli 550 provides a light filled sculptural feature for modern bathroom designs, with its smooth curves making it a unique piece for your bathroom or powder room. 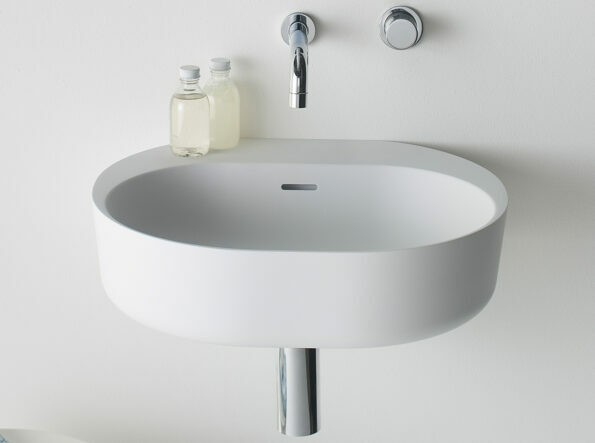 Manufactured in solid surface it has a smooth matt finish that is durable and easy to maintain, ideal for residential and commercial applications. 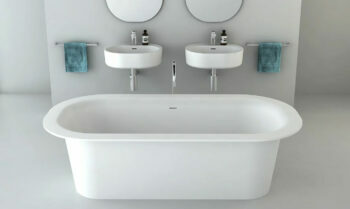 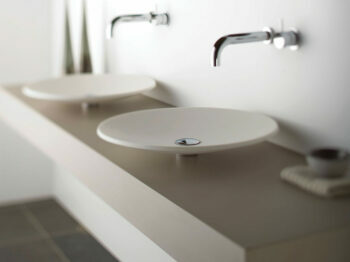 It is also available with Softskin options giving you a two tone effect. 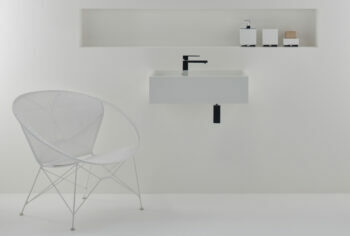 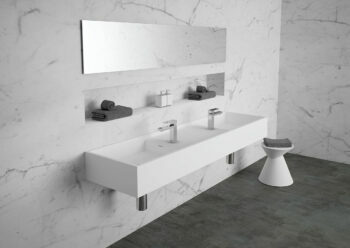 Lilli 550 can be wall mounted as well as installed onto a bench top. 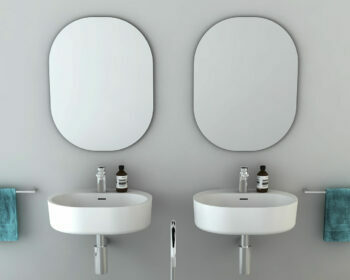 It can be ordered with or without tap holes and is supplied with a polished chrome pop up plug and waste and wall basin fixing bolts.